In 1970, Violet Hawkins’ only wish at eighteen is to escape her life in the Dayton, Ohio, foster-care system and make her way to the west coast to enjoy a mellow life and find the love she’s been missing all her life. She makes it to San Francisco, but soon learns she needs a job if she’s to live properly. A kind, young man named Kenton Chandler offers her a sandwich and a job at his father’s inn and vineyards. With nothing to lose, Lettie takes him up on his offer and begins a whole new life in the Willamette Valley, Oregon. She immediately falls in love with the land and is fascinated with the idea of growing grapes in order to make wines. She, Kenton, and Rafe Lopez become friends as she learns about running the small inn on the property. At the same time she marries Kenton, a stroke kills his father. And then before she can tell Kenton she’s pregnant, he dies in an automobile accident. Heartbroken and burdened with the gift of the Chandler Hill Inn and Winery, she’s left with the task of making them a success. Struggling to raise a child alone while working to grow the business, Lettie makes a shocking discovery that changes everything. Going Home will be available for purchase in print, audiobook and ebook formats upon its release. Going Home by Judith Keim is a beautiful story about friends, family, and overcoming struggles while building a beautiful life. Author Judith Keim does an amazing job making you fall in love with Violet (Letti) Hawkins. This is an amazing book! I have such mixed feelings about this book. The story was great and the characters unforgettable but I think it tried to encompass too many years and had to skip over huge clumps of time. Lettie, the main character, had so much tragedy in her life. It was good she had Rafe to give her a small amount of happiness at the end. 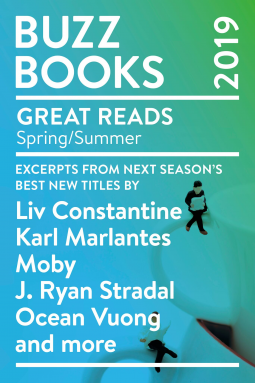 I will look forward to the next book and hope it doesn't skip through 50 years so quickly. I was gifted this book by the author and publisher in return for an honest review. Judith Keim's Going Home is the story of family and not your traditional family. This is also the story of belonging, love, loss and Oregon's wine country. The lead character is a strong female, there is a good plot, and decidedly different family dynamics than in most women's literature. Would recommend this book. An emotional rollercoaster of a story. This book made me cry, laugh, and cry again. I love the strong women in all roles throughout this book. The journey of a lifetime with Lettie was amazing. From girl to wife to mother to grandmother was a journey I felt privileged to experience with her. There should a box of tissue alert with this book. Author, Judith Keim, pulls us to a story spanning the 1970’s, 80’s, 90’s and very early 2000’s with all the background of what was going on at that time. The central character, Lettie Hawkins, a young woman finds herself in a world she could only have imagined. She spent her life in foster care and has no confidence and is very naïve about a lot of things. Lettie is a wonderfully imaginative, honest person and catches the eye of a young man who happens to be the son of a very famous man with great ambitions for his land and life. A first immature but wonderful love gives way to stability and marriage with another. She finds herself growing up and becomes a stronger individual once taken under their wings. Lettie’s romantic relationships may be naïve, but her natural instincts for the land the Chandlers want to turn into a winery and Inn are mature. In the years staying and working at the Inn, she will know many joys and gain self-confidence. The price is great sorrow, though, and we are taken through times of the Vietnam war, PTSD, losing family and friends to cancer and accident, but gaining a beautiful daughter in the process and hard won success at the Inn and in the fields. This is much more than a romance and tells of successful women who build, create, and love in equal parts and strength. I look forward to the second book in the series by Judith Keim. An intriguing story that pulls you into the life's of these characters that will have you laughing with them then crying at the losses. The strong will keep moving forward. Their resolve will have you cheering them forward. Going Home is truly about the heroine and main character of the story, a green girl trying to find her way in the world. Quickly becoming disillusioned with life in California, Lettie meets what she hopes is a nice guy and agrees, on a whim to travel with him to Oregon for a job. She winds up accepting the job and her life truly changes in a very short time. 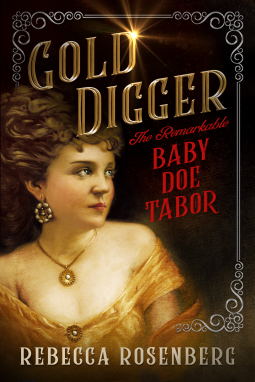 This novel allows the reader to watch Lettie grow up into the woman she is meant to be. Tangled love interests, secrets that come to light, wine making by day, love making  by night. 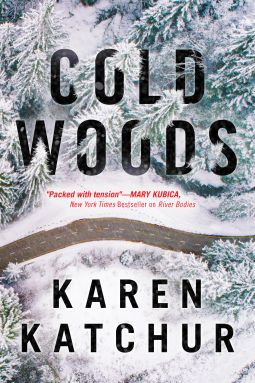 and frustrated relationships between mother and daughter keep this book moving when it could have slowed down. I would say the book goes down easy enough but has a tender bite to it that needs to be explored. Lettie's joy and innocence and the way she connected with the land and the people around her really touched my heart. I also felt like she was real enough not some virtuous woman that only belongs on a pedestal. Well done, Judith Keim.... Going Home is about what home is and who we choose to make a place in our heart for along the way. I can't wait to read the next one!!!!! The warm, inviting cover design sets you up nicely for this multi-decade tale of Violet Hawkins. Starting in the early Seventies and cascading into the twenty-first century, the rollercoaster of life for Lettie, her nickname, makes us check our seat belt over and over through the bumps and turns. I did not expect the entirety of the storyline when I first started reading. Yet I enjoyed each new chapter delving into the characters surrounding our protagonist throughout her tale. A few twists I thought would happen didn't, and I got hit with a few surprises. This book goes down like a smooth, sweet glass of wine which you might as well be drinking while living in these virtual vineyards. Home - it means something different to many people. 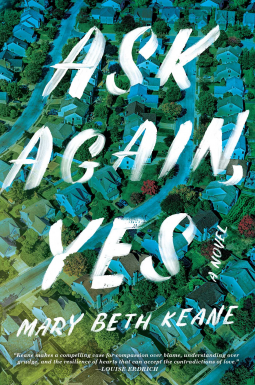 Judith Keim has captured the sense of home in this novel. Well written plot with mystery, romance, tragedy, friendship, and family. Once one picks the book up, one will not want to put it down. I didn't want it to end and can't wait until the second in the series comes out. I am positive that anyone that begins this novel, will want to read all of Ms. Keim's stories. Excellent read and I highly recommend it. I am so glad that this is the first book of a new series! I am looking forward to the next one! Lettie meets a kind man who offers her employment in his family's bed & breakfast in Oregon. She has nothing to lose. This is just the beginning. There is lots of romance, a hint of suspense and lots of overall goodness in this fabulous book. Lettie finds the family she has always wished for. But as in every family, heartache as well. I loved Lettie! You can't help but admire her compassion and kindness! I will say that I definitely needed tissues at more than a few times! Loved this book,didn't know what to expect but once started reading didn't want to put down. Glad there is going to be a book 2. Story follows Lettie from when she leaves Ohio as a 18 yr old foster kid thru her adult life and loves thru to her daughter and granddaughter. Majority of story set in wine country of California. Quick very enjoyable read happy parts and sad parts, some tears, you won't be disappointed. Read it! This is a very touching story of a young girl, Lettie, who grew up in a foster home in Ohio. At 18 she leaves and makes her way to San Francisco. A young man befriends her and invites her to his father’s vineyard and Inn in Oregon where she begins a new life. She is fascinated with the area and the prospect of working with grapes and making wine. She eventually marries the owner’s son, Kenton. Rex, the owner, has big plans for the vineyard and Inn but dies suddenly. Then Kenton passes away in a car accident. Lettie now has the winery and Inn and is in charge of making Rex’s dreams come true. She sees the business grow and become a great success. While at the same time she is trying to raise a child by herself. From beginning to end this book will captivate you. The characters come alive and you can just feel their emotions. The author describes the vineyard area beautifully. Having been in that area, she has me wanting to go back! This is definitely a book you won’t want to put down. I received Going Home by Judith Keim as an ARC. This was the first book I have read by Judith  Keim and it was wonderful. I absolutely loved the characters. From the first page to the last I did not want to put it down. I loved the story, the setting of the vineyard and inn is right up my ally. I cant wait for the next book. A wonderful story. Told with so much feeling, tears in my eyes having just finished it. Lettie grew up in the foster system. Reading the ups and downs in her life after leaving the foster system is heartbreaking and joyful all at the same time. How so many things can  occur in one person’s life is unbelievable. I couldn’t wait to turn the pages! Thank you to the publisher for the ARC. My opinion is my own. 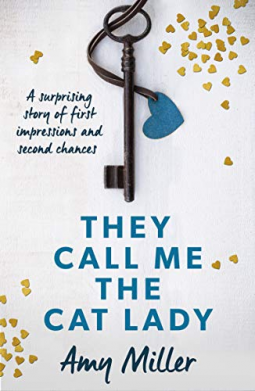 I enjoyed this heartfelt read about a young women in the 1970's who is trying to make her own way in the world after a childhood of despair in foster care. Going Home is primarly set during the times of the 60's 70's, and then to the 2000 decade. it is about Lettie, a brave  young independent girl from a foster home who goes to San Francisco to make her way at only 18 years old with no money . .After failing she comes upon a stranger who  offers her a job in his father's vineyards in Oregon. She soon finds herself in love with the wine making process, the vines and of course the son . The Father passes away and the land and business is left to the son. After they  marry she comes into her own person running a Inn on their property and enjoying married life. When she discovers she is pregnant her husband dies on the same day leaving her to run the Inn and Vineyards. Motherhood is not her priority in life as she devotes herself to running their business and making a success of the wine and the inn. I like the author's portrayal of her as a independent businesswomen and not focusing on motherhood. Lettie is a strong woman and not one that lets a child get in her way. . I was completely entranced by the authors' way of bringing her characters and their stories to life for the reader. This is a fascinating read ! There are tears, sadness and joy as she makes a success of her life and does it on her own. This book is a story of the  journey of Lettie's life and work. I can't wait to read the next book in the series . GOING HOME is the first book of a new and different series by Judith Keim. Violet Hawkins is an orphan who grew up in foster homes and, upon turning 18 in 1970, decides to leave Ohio and travel to San Francisco. She encounters Kenton Chandler who offers her a job at his father’s vineyard and inn. Lettie falls in love with Kenton and the vineyard and quickly and impetuously marries Kenton. Unfortunately his father has a stroke and dies and Kenton is drafted into the army and is probably destined for service in Vietnam. Lettie is suddenly in charge of the vineyard and inn at the tender age of 19. Lettie carries on and accomplishes the plans and dreams of her father-in-law and husband while raising Kenton’s and her daughter. She is a strong woman and overcomes many different tragedies and obstacles during her lifetime dedicated to the Chandler inn and vineyard. Many thanks to NetGalley and Wild Quail Publishing for the ARC. I was pulled into this story from the start. My heart was in it completely. I felt for Lettie strongly. She is a very likable character who has many ups and downs. Some laughs and lots of heartaches. I cried with her and wept for her. This story is a love story and a tragedy all in one. Filled with so much love that your heart feels full. Filled with loss that will break your heart. Lettie was raised my foster parents, never knowing her parents at all. Her foster mother made her believe she was ugly and would never be good at anything. When Lettie meets Kenton outside of his California apartment, hungry, tired and scared, she has no idea how her life is fixing to change. Kenton is a very nice guy and feels strong that Lettie will like his home so invites her to go with him for a job at the Inn his dad just opened. She agrees and falls in love with the land right off. The three main men in Lettie’s life are Kenton, his dad Rex and Rafe, Kenton’s friend and a worker on the farm where they make wine and run the Inn. There are sparks between Rafe and Lettie from the very beginning. But they are not meant to be. She goes away with Kenton and they marry. While they are away Kenton’s father has a stroke so they rush home to see about him. After they tell him about their marriage he is so very happy. He loves Lettie as a daughter and loves that she loves the land as much as he does. Sadly though he does not make it. They on leave from boot camp Kenton is killed in a car wreck on his way home to see Lettie. She has just learned she is going to have a baby. She’s so devastated as she loves him with all of her heart. In the short time she got to know the Chandler’s and be a part of their lives she has found much happiness and grief. Rex had made it where if something happened to Kenton she would then run the Inn and Vineyards. A task she takes to heart. Doing all the things she knows he would have wanted. She works hard and is raising a child alone too. Lettie lives and breaths the land, the grapes, the Inn and her new family. She embraces them with all she has. All the love she possesses is for this land, the Inn and her child. Then after her daughter goes away to work in another country Rafe returns. They have always had a strong chemistry and after a while they are an item again. But this time on one can keep them apart. He is there for her no matter what. Through more tragedies. Through helping with her granddaughter and more loss. This book literally made me weep. I mean ugly crying is not even a good description. So much loss and then the biggest loss of all. It just ripped my heart into. Now I can’t wait for the next book in this series to see what happens next. I loved this book from start to finish. Even through all the tears it was one I could not put down. The laughter, the descriptions of the land, the Inn, the vineyards and her home made me feel like I was right there. Lettie was like someone I knew personally. Like that friend you root for to have it all. To be there for when life hurts her. She’s such a likable person you just feel like she is a real person sitting with you while you read about her life. From 18 on she is a fighter and such a good person. I loved all the characters in this book. Well one man was deplorable.. A real jerk. But all the others were great. Like a huge family that surround each other through thick and thin. I was given an ARC of this book and leave this review of my own accord. My words and feelings. A big, huge 5 star book that I highly recommend. A must read. Took a bit for me to get into this story, as it starts back in the 70s, during the Vietnam War era. Violet is a young 18 year old, who has left her foster home and hitch hiked to California. Meeting up with Kenton, he offers her a job back at his father's inn and vineyard in Oregon. A good story, with a lot of sadness and heartbreak. Just like life. 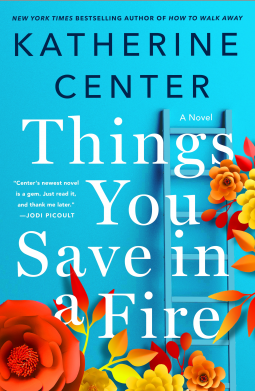 The book goes many generations from when she moves to California, to Oregon, gets married, gets widowed, has a daughter, raises a granddaughter, finds and loses loves, and then ends with her death. Suppose to be the first book in the series, so perhaps the next one will be with the granddaughter? Would give this 4.5 just because it took a bit to get into the story. Once I did though it was hard to put down and one I highly recommend. Great story and author. 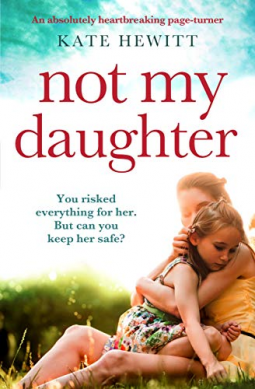 This is a beautifully written tale of heartbreak, loss, love, romance and family. It's a timeless story following Lettie's life as she becomes a staple in the Oregon winemaking industry. It will make you laugh, and cry. A captivating emotional yet heartwarming journey of friendship and family romance story. Amazing strong characters. A well-written book, I enjoyed reading. It was a pleasure to review. I received a free copy of this book, am voluntarily leaving a review. So many different ways to be “going home.”  I think this is a perfect title for this story. This book is happy, sad, and full of many emotions. I loved it! Violet certainly didn’t have an easy childhood. I can’t even imagine what it would be like growing up in the foster care system. God was looking down on her the day Kenton came into her life. She certainly had a different life after that meeting. Would you have done what she did? Guess she figured she didn’t have anything to lose. I loved the story line and almost all of the people in Willamette Valley. So many different types of prejudice. I don’t think they will ever totally go away. So many things that people have to deal with, but that is what life is all about. I’m sure Violet never thought she would end up with what she did. I think she went beyond her own expectations. I can’t wait to see what happens next. I received this book from NetGalley, but my opinion is my own. Going Home is my very first I have read by Judith. Let me tell you... it won't be my last! I could not put this down. I kept wanting more and more! I absolutely LOVED IT!! Can not wait for book in the series!! "Home was as complex as her family." VERY highly recommend!! ITS AMAZING! I found "Going Home" a very emotional heartwarming intriguing novel what will simply pull you into the lives of these interesting characters. The main character Violet Hawkins, [Lettie...her nickname] who was simply trying to find her way at eighteen, running to California after coming out of the foster system in Ohio. Lettie will meet a guy [Keaton Chandler] and travel with him to Oregon to Chandler Hill. There Lettie will get a job at his family's bed & breakfast in Oregon and later will come to the winery and her life will change as she grows into a woman. It was simply wonderful seeing Lettie as one will as her love, secrets, winemaking, joy, and innocence will connect so well with all around her giving us what 'Going Home' is truly about. I was a little surprised where I thought some more twist was coming but didn't, however, I was in for some very interesting surprises that did come. Be prepared for a good read of 'mystery, suspense, romance, tragedy, friendship and family' that will capture your attention through the read about Lettie's life over fifty years. It was so good to see Lettie finding a family she has always wanted but also there will be heartache also. This story of Lettie as we see her through once being an 18-year-old, a foster kid starting with nothing, on to 'dealing with the trails that life can throw at her becoming a strong and knowledgeable woman' who has grows into the woman she is meant to be. Lettie went through adult life and in the end, she not only has her daughter but a granddaughter that simply put the icing on the cake for her. Yes, this is one of those stories that may have you tearing up a bit as well as also laughing out loud. This is one of those reads that will keep one riveted to the very end! Thank you, NetGalley and Wild Quail Publishing for the read and my giving my honest opinion on the read. This is the first book I’ve read by Judith Keim, and it will not be the last. I’m so glad I accepted an invitation from the publisher, via Net-Galley, to read and review. My opinions are my own are not influenced in any way. I thoroughly enjoyed Going Home. It’s unique because it follows a woman’s entire adult life. 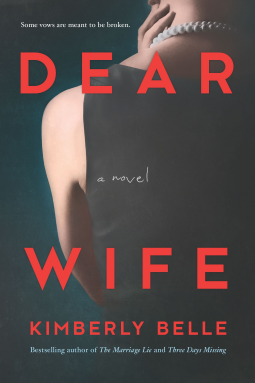 I enjoy women’s fiction, and this is an excellent one. The pacing is great, keeping me engaged from the beginning to the end. Lettie’s character is complex. She is flawed and at times impulsive, but she is so interesting, I fell in love with her. It’s no wonder she’s in a hurry to find someone to love after growing up in foster care. I could understand how she fell so quickly for Rafe, only to be cast off because he bows to his family’s expectations. She does not let it color her future. When love comes along with her friend, Kenton, again she falls hard and fast. There are actually two main male characters and a key secondary one in Going Home. Rafe who marries another to satisfy his family and Kenton, the young man who saves Lettie from a life on the streets in San Francisco. Then Kenton’s father, a man who takes Lettie under his wing. 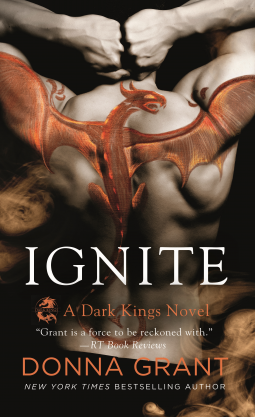 Rafe’s character did not appeal to me in the beginning of the book but more than redeems himself by the end of the book. I shall not say more because I do not want to have any spoilers. Kenton’s character is steadfast and offers Lettie the stability she craves and a family who will love her. My heart ached when he is tragically killed in a car accident. Theirs was a love cut short. The key secondary character is Kenton’s father. He recognizes Lettie’s talent in knowing what wine is best. He grooms her for his winery, which is a godsend for her. When he dies, she inherits Chandler Hill Inn and Winery and makes it highly successful. As I mentioned, Going Home follows Lettie’s life. I felt her joy in first love, the fulfillment she begins to feel with Kenton. The pain of losing him so soon, before she even had a chance to tell him they were expecting a child. Lettie is not a natural born mother but none the less, she raises her daughter to be an independent young woman with a huge heart. I enjoyed following her life from young girl to a mature older woman, one who makes some mistakes while learning from them, and lives a full life. I’m glad I took a chance on Going Home. If you enjoy women’s fiction, then you will love Going Home as much as I. I will definitely look for more books by Ms. Keim. Happy reading! Judith Keim is becoming one of my favorite authors. Her writing pulls you into the stories she writes, so much so that you do not want the story to end. In “Going Home” Violet (Lettie) leaves the foster system in Ohio as soon as she reaches 18. Never knowing her parents she yearns to belong and makes her way to San Francisco. It too is a disappointment and needing  to find work, Lettie meets Kenton Chandler and accepts a job and ride to Oregon with him. This decision to work in Kenton’s fathers inn and vineyard changes the course of her life. 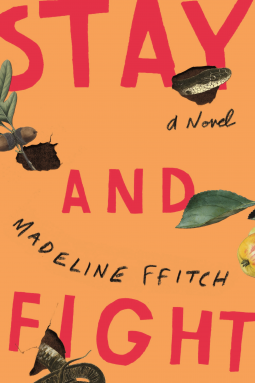 Lettie’s life in Oregon is unexpected, thrilling and tragic. She has a strong sense of honor toward the Chandlers and this leads to her to discovering her strengths and fortitude. This is an emotional story of love for land, family and second chances that lasts until you turn the final page. I wish I could give this book more than 5 stars. It was a wonderful, beautiful, at times heartbreaking story. A young girl from foster homes finds a job at an inn that will one day be a vineyard. She loves the owner and his son, but sadly they are taken away from her too soon. She bravely carries on to make the vineyard what her father-in-law always wanted it to be. Truly a beautiful story. I highly recommend. In this novel, Keim captures the 1970's era perfectly. It is a poignant story of a young woman coming to grips with the unfortunate hand life has given her. It is well-written and well paced. A great start to what promises to be a good series. Going Home is the beautifully-told story of Lettie Hawkins and her lifelong transformation from homeless 18 year-old to an older woman in charge of her destiny. Even though it is told in 3rd person, Judith Keim was able to relay Lettie's fears and hesitation at the new life she found with Kenton Chandler and his father, the very charming Rex. It's truly a dream come true for this naive young woman who is literally saved from the streets of San Francisco and shown a kinder world at the Chandler Inn. Never in her wildest dreams as a foster child would she imagine going on to manage said Inn and become not only a wine expert but a well-revered one as well. Keim takes Lettie through despair, hope, tragedy and friendship in her journey. But it's the love that continues to see her through, with Rafe and Kenton and then in her daugher Autumn and grandchild in Cami. Lettie is a survivor and despite every loss and responsibility thrown at her through the years, she somehow finds a way to push forward and does it quite well. Relationships with the loves of her life and great friends are what see her through time and again and all the secondary characters are well-placed and added just the right touch. The angst level is lighter than I'm accustomed too even with all that Lettie faces but overall it was an enjoyable read and I wouldn't mind continuing the series with Cami at that helm in book two. I loved this book. Great writing, great story. A tenacious young lady who has no family and grew up in the foster system sits down on someone’s steps, too hungry and tired to move. A chance meeting leads to a whole new life for her. Throughout her life, there are many trials and tribulations yet she continues to persevere. I laughed and I cried while reading this and am ever so glad I read it. I can’t wait for the next installment. Going Home is a heart wrenching book, during the times of the 60's 70's, the Vietnam War and into the 2000's, it is about strength, determination and the loves of Lettie, a young girl from a foster home who finds herself by chance in a completely different world from the generosity of a stranger who offers her a job in his father's vineyards. I was completely immersed in this book, with the beautiful descriptive writing, and the authors' way of bringing her characters to life. I felt like I was right inside her story. Many events brought tears, many brought smiles, and I guessed one of the surprises early on but that did not take away from the plot development, it only made it more real and there were more that I didn't guess that happened and shocked me. This book is a riveting journey of Lettie's life, one that was hard to put down, wondering how this story would end. I can't wait to read the next book in the series after reading the first chapter I am hooked. Going Home was a great, easy read. The characters were fleshed out perfectly and the story lines were wonderful. When we first meet Lettie she’s young and life hasn’t been easy for her. As an orphan she’s never experienced a real family but after meeting a helpful young man named Kenton her life actually begins. I didn’t want to put this book down and found myself resenting having to go to work when all I wanted to do was read! There is a fair amount of heartbreak, but it helped create a rich and satisfying story. The only thing that left me puzzled was the character Rod. I think I expected more of his story line but was happy there wasn’t much of one. I’m looking forward to the next book in the series, Coming Home. 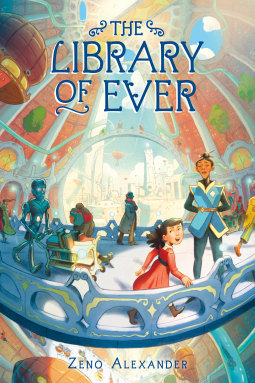 An e-ARC was provided for me by NetGalley in return for my honest review of the book. This was an easy, fast-paced read that follows the main character, Lettie, through almost fifty years of her life. We meet Lettie when she's aged out of the foster care system at age 18. She ventures off to San Francisco on her own and meets Kenton. He offers her a job in Oregon about five minutes after meeting her and she agrees. (Kids, if you're reading this, don't take jobs from strangers you just met.) Thankfully, this worked out for Lettie and she discovers her passion for winemaking, and the love of not one, but two men,  in Oregon. Although the writing was solid, the fast-pace and weak character development made it a little difficult at time to totally fall in love with the characters. That being said, it was a nice easy read. 3.75/5. 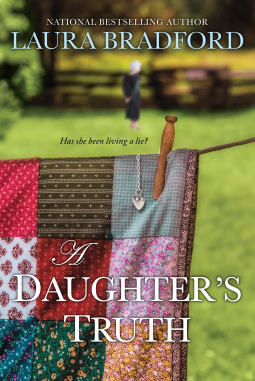 I really enjoyed this book by a new author for me!, I loved the story line and connected to the charters right away!! In 1970, Violet Hawkins’ only wish at eighteen is to escape her life in the Dayton, Ohio, foster-care system and make her way to the west coast to enjoy a mellow life and find the love she’s been missing all her life. She makes it to San Francisco, but soon learns she needs a job if she’s to live properly. A kind, young man named Kenton Chandler offers her a sandwich and a job at his father’s inn and vineyards. With nothing to lose, Lettie takes him up on his offer and begins a whole new life in the Willamette Valley, Oregon. She immediately falls in love with the land and is fascinated with the idea of growing grapes in order to make wines. She, Kenton, and Rafe Lopez become friends as she learns about running the small inn on the property. At the same time, she marries Kenton, a stroke kills his father. And then before she can tell Kenton she’s pregnant, he dies in an automobile accident. Heartbroken and burdened with the gift of the Chandler Hill Inn and Winery, she’s left with the task of making them a success. Struggling to raise a child alone while working to grow the business, Lettie makes a shocking discovery that changes everything. Sweet Lettie (Violet) was truly a joy to know. Such kindness and some sadness. It was truly a wonderful read. Lettie had loss, love and family and home is where you make it, with those sometimes you choose, or choose you. If you finish too fast, with tissue and smiles...remember Lettie has a Series. Thank you very much for the honor NetGalley for the advance copy. I have been drawn into a brand new series, in this first book of the series,  by Judith Keim and I couldn't be more excited! 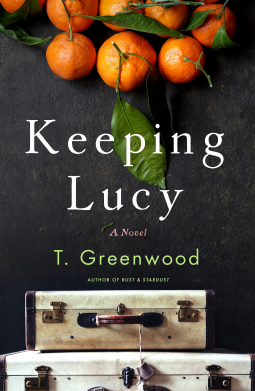 It's a story that introduced me to Lettie (Violet Hawkins) and her determination to find her place in life. I hurt for her in the beginning with the childhood she endured and the foster parents who told her she was never going to be anything in her life. Tired of the life she was in, she strikes out for a new life in the "free love" of California only to find out that it wasn't any kind of life at all. Hungry and homeless, destiny brings her and Kenton Chandler to cross paths. He offers her a job at his family vineyard business and she's more than eager to accept. The story takes the reader on a lifetime journey with Lettie. There are so many emotions that my heart went through with her. From all consuming love to the most devastating events, I felt the power of Lettie to pull through each and every situation her life brought her to. She stood up for her principles with determination. She has so much love and compassion for those she's loyal to. She loves with an infinite heart. I love the character of Lettie and felt a part of her life throughout the book. Ms. Keim has a wonderful descriptive gift of writing. The research she put into the grape growing and wine making business is obvious and I learned how much there is that goes into that. I love the setting of the Willamette Valley in Oregon and I would love to visit there but   feel like I have from reading this book. I want to thank Ms. Keim and Lake Union for the honor of reading an ARC copy of this wonderful book. 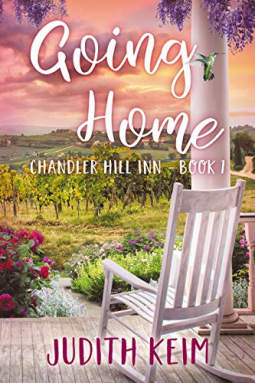 I am very much looking forward to reading the second book in this series, Coming Home, and living the next chapter in the Chandler Hill Inn Series. I definitely give it 5 stars. This book is truly fantastic! The journey of Lettie from age 18 to being a mother and then Grandmother is phenomenal. I devoured this book in one sitting. The love and loss in this book are heartwrenching. The book is so well written, the characters so real. To say I loved this book is an understatement!